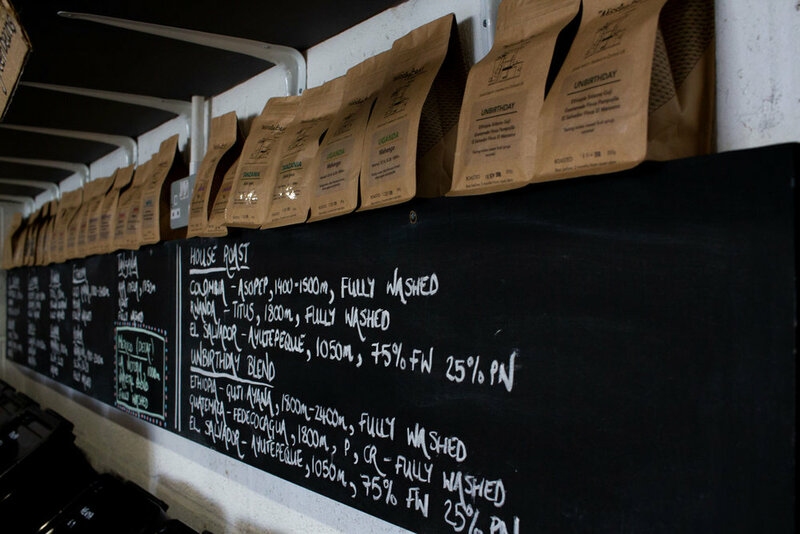 For this month’s Supplier Spotlight, we were invited to The Missing Bean Coffee Roastery to chat to co-owner Ori about bringing artisan coffee to Oxford. Since the Handle Bar opened its doors in 2015, we have been proudly serving coffees to the hardworking Oxford academics, artists, business professionals and more to fuel them through their busy workdays. We take pride that this vital ingredient, despite how small and insignificant it may seem, contributes to what makes our city thrive. Since the opening of our newest venture, coffee at Le Bar, we’ve seen how people aren’t just interested in the almost magical energising powers of coffee, but also it’s history, origins, and brewing methods. Ten years ago, however, would have told a completely different story. That is, until Vicky and Ori arrived in the city and provided us with the artisan coffees that many didn’t even know were missing. In a similar vein, when Ori happened to meet Celine at an Independent Oxford meet-up, there was a little coffee bean shaped hole in the heart of Handle Bar. Quickly learning that both businesses had a shared passion for quality and sustainability, a special partnership between the Missing Bean and HB was born. The guidance and expertise of the Missing Bean team make the extremely difficult process of creating the Handle Bar blend one hell of a lot easier. They invite us to their East Oxford roastery, which was established four years ago, and taste about 15-20 coffees, focusing on the direct trade beans, from Thailand, Uganda, Brazil and El Salvador. After trying different mixes and different roasts, the team tweaks it until it’s just right. To source the coffee, rather than travelling to find new farms to work with, Ori explains that mysteriously, the beans often find him. The Peru coffee, for example, was found through a friend who works at an NGO in Peru, that helps indigenous people fight their rights to the land. He put Ori in touch with farmer who was growing coffee and unsure of how to sell it. Ori discovered the Thai coffee through a customer who was studying for a PhD in international relations at Oxford, who in his spare time visits Thailand to help coffee farmers. A relatively new industry to Thailand, coffee farming was established by the Thai government in the early 80s as an incentive to rid the Golden Triangle of its notorious drug trade and provided opium farmers with coffee as a replacement crop. You can visit the missing Bean at their Turl Street café or in their roastery on Magdalen Road. Or visit Kate in Le Bar who will talk you through our different coffee beans du jour and experience the rich flavours of the beans from pour-over and immersion techniques.